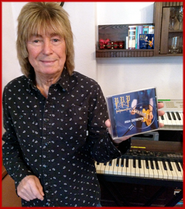 PAUL'S NEW COVERS ALBUM IS AVAILABLE NOW! 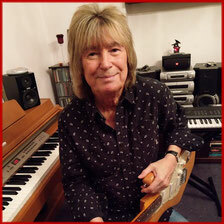 A good hour of entertaining music varying from rock classics to standards. 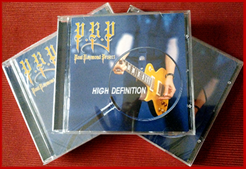 where you can order the "High Definition" CD plus some exclusive merchandise and more. for the rest of the month of February! So please come in and have a look! 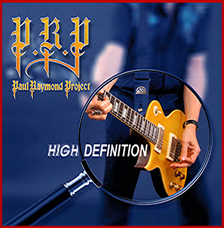 The work on Paul's New Covers Album "HIGH DEFINITION" is finished now. 12 Tracks plus a Live Bonus Track. Stay tuned for final info about the release date! Since I’m getting lots of messages from you guys lately asking about the release date for my next solo album “High Definition”, I think now is the time to let you know that I have decided to postpone it to early 2019. Due to circumstances that were beyond my control plus personal life changes I’m afraid this step is necessary. I’d like to thank you for your support and your anticipation for the album and I think you won’t be disappointed as it is a great body of work. So please watch this space as well as my FACEBOOK PAGE for more info which will be posted soon. "I think 'High Definition' is my best solo work so far." Paul says about the album. 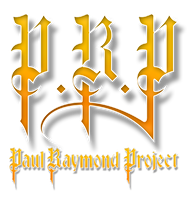 "It's my very own tribute to several very talented musicians & creative songwriters from different music genres and I have tried to give these great 'old' tunes a new spin and perhaps a Paul Raymond touch."